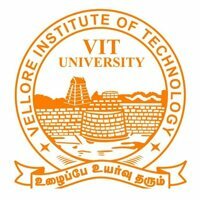 Vellore Institute of Technology is all set to announce the VITEEE 2018 results by the end of this month. NEW Delhi/26.04.2018: The Vellore institute is all set to announce the VITEEE 2018 results by the end of this month. An official at VIT told a leading media house, "The results will be released either on April 26 or on April 27." As per the sources, the results were earlier scheduled to be declared on 25 April. The candidates can check their respective ranks in online mode at www.vit.ac.in by entering the date of birth and application number. While the institute will forward the ranks of the test-takers to their mobile phones, it won’t send their scores either via mobile number or by any other methods. They will be able to receive ‘merit rank list’ on their mobile phone. How Can Candidates Check their Results and Rank? After successful login, you will be able to see your result right on your computer screen. Ensure that your result has the following detailed mentioned – application number, name of the candidate, score, rank, gender and roll number. The exam was conducted in online mode by VIT. On a related development, Vellore Institute of Technology has released PHASE I counselling dates. Some of the documents to be produced during counselling are mark sheet of the qualifying exam, date of birth certificate, nativity certificate (candidates from Sikkim, Tripura, Nagaland, Meghalaya, Manipur, Assam, Arunachal Pradesh and Mizoram), e-admit card, the copy of VITEEE result and demand draft of ₹ 50,000/-.